For a two bedroom detached bungalow with off road parking. 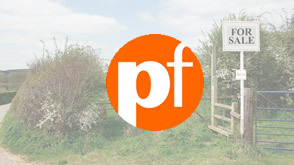 Plots with Planning in Pershore Worcestershire. Looking for land for sale in Worcestershire or even a renovation or conversion opportunity? Plotfinder.net holds a database of building plots in Scotland, England, Northern Ireland and Wales. Above you'll find links to the latest properties for sale in the Worcestershire area. You may also be interested in looking for land for sale in the counties surrounding Worcestershire such as; Gloucestershire, Warwickshire, Staffordshire, Shropshire or Herefordshire. Use the search box above to refine or change your search criteria. Property listed includes; building plots, renovation and conversion opportunities, lots sold by auction and property for sale by private sellers. A Home in an Orchard: Jenny and Colin Creese’s beautiful new oak frame home – built with the aid of son, Peter – has become a natural addition to their orchard plot. The traditional self build in Worcestershire is inspired by Arts & Crafts architecture, with a heavy roof, complete with catslide and steep pitch, being the focus of the design. A £200k Oak Frame Self Build: This oak frame home was built on a garden plot in a rural village in Worcestershire.